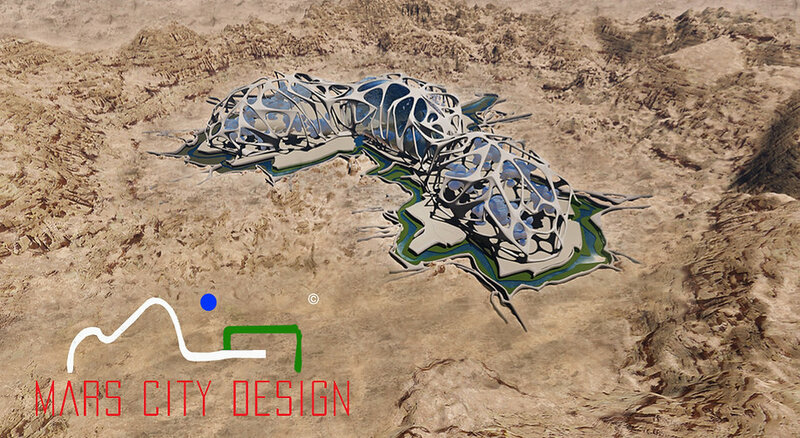 Mars City Design is a collaboration of engineers, architects and visionaries with a goal of taking steps toward realising the technology requires to sustain human civilisation on Mars. Described as a ‘Human Movement’ it was born from the vision of Vera Mulyani, who always dreamt of becoming an architect of Mars. Their mission is mission is to design the blueprint for sustainable cities on Mars. The Mars City Design Competition has taken entries from around the world, with the top 3 invited to develop their ideas further at a summer workshop held at the University of Southern California in September 2016. The workshop which will features speakers such as Buzz Aldrin will be an opportunity to advance the design and be part of the exhibition. Among the concepts from the 25 finalists are unique projects as “Neurosynthesis,” which includes a closed river system and even an artificial waterfall; “Project Dandelion,” which uses the planet’s soil to provide sustainable oxygen and water; and “The Mars Living Machine,” which explores how extreme environments like Mars will help shape architecture. The next step will be to 3D Print these concepts and test them in one of the most inhospitable places on earth most inhospitable places on Earth – the Mojave Desert. 3D printing and additive manufacturing could make colonisation possible because the capacity to fabricate just about anything require in-situ from the few raw materials found on the planet and the few raw materials that could be transported will be essential for a self-sustaining colony. Having raised almost $30,000 on kickstarter to make the Mojave dream a reality it will allow the finalists to begin to replicate the requirements for humans to colonise Mars.